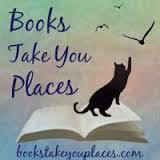 Top Ten Bookish People I Would Love to Meet! 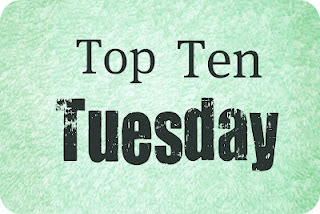 Top Ten Tuesday is an original feature/weekly meme created over at The Broke and the Bookish which I adore and therefore chose to adopt into my weekly blog posts! William Shakespeare – An obvious one and though I totally believe he is the real deal it would be nice to find out for sure, I suppose! Juliet Marillier – Another obvious one, she is my favorite author! However, I have to admit that if I ever did meet her I would probably just keel over and/or look like an idiot because I could have nothing compelling to say to her! Edgar Allen Poe – I would love to see his “madness” in real life! L. Frank Baum – Just to hug him. He wrote my favorite books! Isaac Marion – I follow him on Twitter and he seems like quite an awesome guy, and he makes me laugh out loud on a daily basis. J.K. Rowling – I just fear I would bore her with the same questions about HP that she has probably heard a thousand times. Adam Gidwitz – I’d like to give him a book of my favorite fairy tales and have them read them aloud while interjecting with his own narrations. The Bloggess – She’s amazing. She is inspirational and hilarious. Brom – I might be a little scared to meet him because he has to have a very deep and dark imagination but I would love to know if he is going to delve into another fairytale rewrite anytime soon. Ransom Riggs – I would enjoy looking through his photograph collection for sure! This entry was posted in Top Ten Tuesday. Bookmark the permalink. This is a great list. But seriously, every time you mention Brom I’m more and more intrigued. I need to throw everything else down and just dive into that book. I really do. DOOO ITTT!! It might kill you little on the inside though.. So true about Ransom Riggs! And JRo would be on my list too. I’d be a little scared to meet Poe! Haha. I so want to meet The Bloggess! And Poe…that would be just damn interesting!! And Shakespeare…why did I not think of that! I’d have so many questions for him! Shakespeare is a great choice! I’m sure he was a fascinating person, and there is do much one could ask about his work!